Gonda, who had worked at Chobani since 2014, joined McDonald's in a global role. 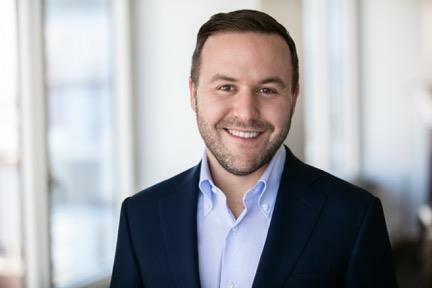 CHICAGO: Chobani veteran Michael Gonda has joined McDonald’s as VP of global communications. Gonda joined McDonald’s in the newly created role on Monday. He is reporting to Robert Gibbs, chief communications officer and EVP of corporate relations. Gonda left his role as Chobani’s SVP of corporate affairs in January, according to his LinkedIn profile. A Chobani representative confirmed that Gonda is no longer at the company. "I joined McDonald’s to partner with leaders across the corporate relations function and the organization at large to build on the momentum of one of the most iconic and important brands in the world," he wrote on LinkedIn. "Working closely with the exceptional team in place, we’ll continue to architect and lead comprehensive communications programs that drive business impact across the globe." Gonda had worked at Chobani since 2014, when he joined the yogurt brand as VP of corporate communications. Gonda was promoted several times, working his way up to SVP of corporate affairs, a role he had held since July 2017. Gonda was responsible for external, internal, and executive comms in a role that included centralizing sustainability, government relations, and nutrition communications. Chobani also restructured its communications team during Gonda’s time there. Previously, Gonda was VP and director of corporate communications and corporate issues at Weber Shandwick. From 2012 to 2013, he worked in corporate communications in Weber’s Beijing office. Gonda started at the Interpublic Group firm in 2010 as an account executive in New York. Before Weber, Gonda worked as a freelance journalist, according to his LinkedIn account. He was listed on PRWeek’s 40 Under 40 in 2015. Other McDonald’s representatives were not immediately available for additional comment. This story was updated on February 5 with additional information.